Incredible Used Nissan Titan XD for sale in Austin, Texas at our best price. Get our lowest payment plans on this 4WD Nissan Titan XD Crew Cab Pickup before it's gone! Low miles with only 21,880 miles! PRICED TO SELL QUICKLY! Research suggests it will not be available for long. 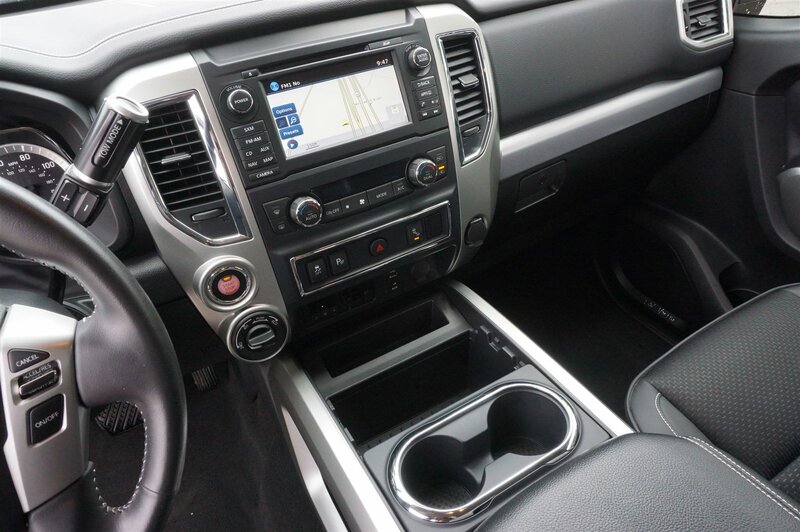 This 2017 Nissan Titan XD PRO-4X has a great looking Magnetic Black exterior and a Black interior! -State Inspection Completed!- This Titan XD has many valuable options: Navigation System, Backup Camera, Bluetooth, Satellite Radio, Blind Spot Assist, 4-Wheel Drive, Tow Hitch, Keyless Start, Rain Sensing Wipers, Multi-Zone Air Conditioning, Bed Liner, Automatic Headlights, Keyless Entry, Tire Pressure Monitors, Leather Steering Wheel, Driver airbag, Passenger Airbag, Side Airbag, Stability Control, and Cruise Control -Navigation System- -Backup Camera- -Bluetooth- -Satellite Radio- -Aux Audio Input- -Auto Climate Control- -Automatic Headlights- -Fog Lights- -Rear Seat Pass-Through- -Multi-Zone Air Conditioning- -Remote Start- -Security System- -Power Locks- -Keyless Entry- -Keyless Start/Push Button Start- -Power Windows- -Power Mirrors- -Power Driver's Seat- -Rain Sensing Wipers- -Steering Wheel Controls- -Cruise Control- -Tow Hitch- -Leather Steering Wheel- -Rear Bench Seats- On top of all that, it has MANY safety features. -ABS Brakes- -Brake Assist- -Traction Control- -Stability Control- Our pricing is very competitive and our vehicles sell quickly. Please call us to confirm availability and to setup a time to drive this Titan XD! Contact us at (512) 345-4343. We are located at 11514 Research Blvd, Austin, TX 78759 We also serve the following cities: Jollyville, Anderson Mill, Pflugerville, Lakeway, Kyle, Leander, Lockhart, Taylor, San Marcos, Canyon Lake, New Braunfels, and Seguin, Texas. Come by today and take advantage of the benefits of purchasing your next new or pre-owned vehicle from Covert Ford.